A perfect fit for tiny tots! This delightful matching baby dress and pants set is a treat for the eyes – just pair with a matching sun hat for a perfect summertime outfit. 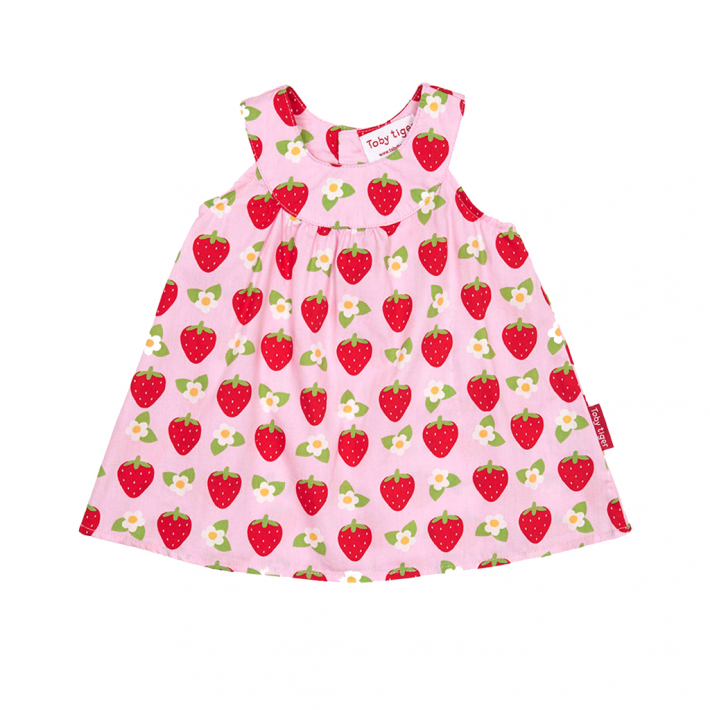 A super sweet little strawberry print organic baby dress with matching frilly pants. This soft and lightweight 100% cotton baby dress is a perfect summertime treat to keep your little one feeling cool and comfortable whilst looking cute as a button. The strawberry print is lovely and summery, while the little pants look so adorable on little crawlers! Fitted with four buttons at the back of the dress to making dressing a breeze. Why not finish off the look with one of our matching reversible sun hats? Protein Powder – Should I Be Incorporating One Into My Diet?